Nail those formal occasion with a hint of casual air in your dressing when you dawn this Out-of-the-World Navy Blue Designer Cotton Semi-Formal Tunic from the house of Snehal Creation. 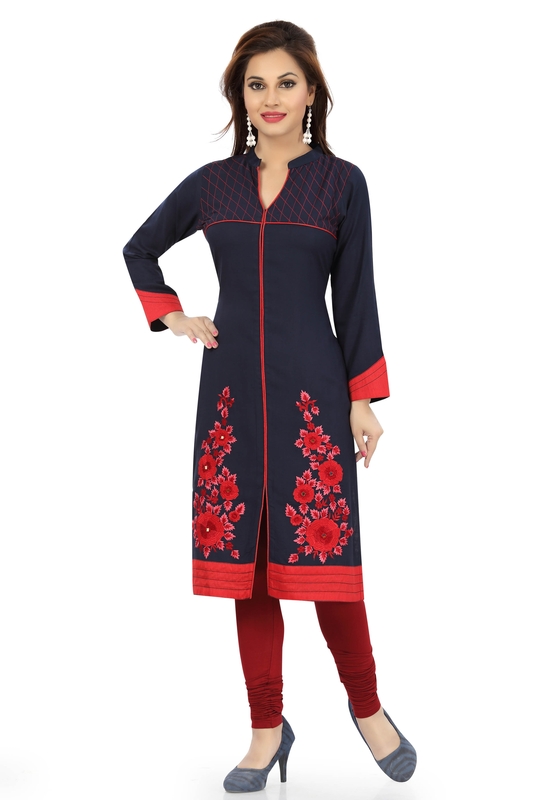 This simple yet chic tunic comes with red piping, red patchwork and thread work with floral designing to make it luscious. 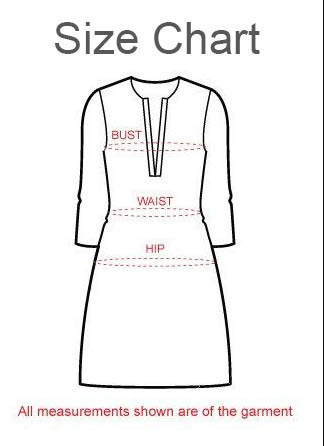 The design is such that it has a ban neck collar and three quarters of sleeves.